Enjoy a prestigious VIP experience with direct access to your favourite attractions, a personalised itinerary tailored for you! Throughout your VIP Tour, our Premium Tour Hosts will accompany you around the Park and get up close with animals in our exclusive interaction session, while our animal keepers will share interesting facts about our Park and animals with you. Add a whole new dimension of prestige to your next business event or big family day in a truly unique setting. Enrolment Method: Please contact Guest Relations at (852) 3923 2323 or email to vip.premium.tour@oceanpark.com.hk for reservations. Payment is expected at least 4 days prior to tour date. *The tour price is exclusive of Park tickets. For free-admission dates that apply to Gold Pass and Silver Pass holders, please click here. #SmartFun Annual Pass membership discount is not applicable to all additional charges. Reservation and payment must be made at least 4 days in advance. Cash and credit card payments (Visa, Master Card or American Express) are accepted. All payments are non-refundable. You will receive a confirmation email upon completion of booking and payment. Please present the confirmation email at Guest Relations on the tour day. The above information and prices are for reference only and are subject to change without prior notice. "Ocean Park VIP Premium Tour” ("Tour") does not include admission tickets to Ocean Park Hong Kong ("Park"). Guests who join the Tour should have valid admission tickets or SmartFun Annual Passes on the day of the Tour. The Tour does not include other paid activities at the Park. Each Tour is priced at HK$6,600 for 4 consecutive hours. Any additional hour will be subject to availability and an additional charge of HK$1,650. 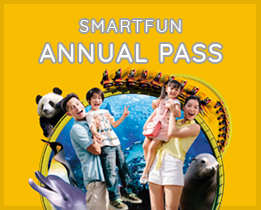 SmartFun Annual Pass membership discount is not applicable to all additional charges. Each Tour can accommodate a maximum of 6 guests (at least one guest aged 15 or above is required). For groups with more than 6 guests, multiple tours are required. Guests may be asked to separate into smaller groups for rides. Guests who arrive late at the designated gathering point will not be able to enjoy the complete Tour and will not be entitled to any compensation or refund. The identity of guests must remain the same throughout the Tour and no replacements are allowed. At least 4-day advance reservation is required. This Tour is subject to availability. The Tour is non-refundable, non-transferrable and non-exchangeable. Multiple promotional discounts cannot be used together during reservation. Admission to the Park is subject to the Rules and Regulations and Ocean Park Bylaw. 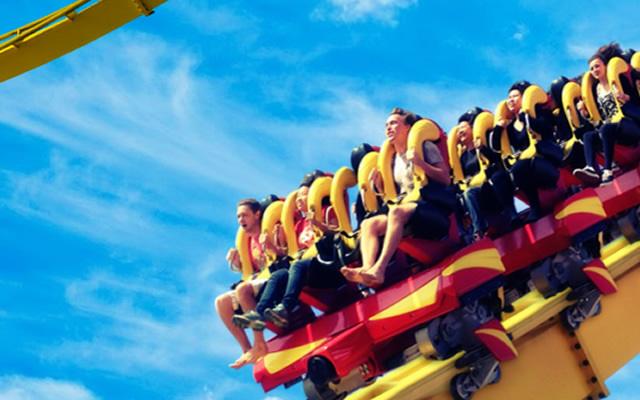 To ensure the safety and comfort of our guests, the Park may from time to time, without prior notice and without refund or compensation, change the operating hours of the Park or attractions, close the Park or any part of it temporarily, restrict the number of persons having access to the Park, and/or suspend or cancel any attraction or entertainment programme, due to capacity, inclement weather, security reasons or special events, or if the Park considers that the circumstances so require. In the event of disputes, the decision of the Park shall be final. The Park reserves the right to amend these Terms and Conditions or to suspend or terminate this Tour at any time without any prior notice. The session will last for around 15 minutes. The itinerary or content of the animal session may be subject to change or cancellation due to inclement weather, animal issues or show changes without prior notice. The animal session requires pre-arrangement and can only be arranged if the Tour reservation is made at least 4 days in advance. Except photo taking sessions arranged by the Park, no photography is allowed at the back of house area during this animal interaction session. Guests will not have any physical contact with the animals in some of the sessions. Guests must strictly follow instructions given by the Park's animal husbandry staff at all times.